I know, I know, toilet humour really is the lowest common denominator. But this post isn’t about toilet humour I promise, but rather it’s about toilet etiquette in Japan. 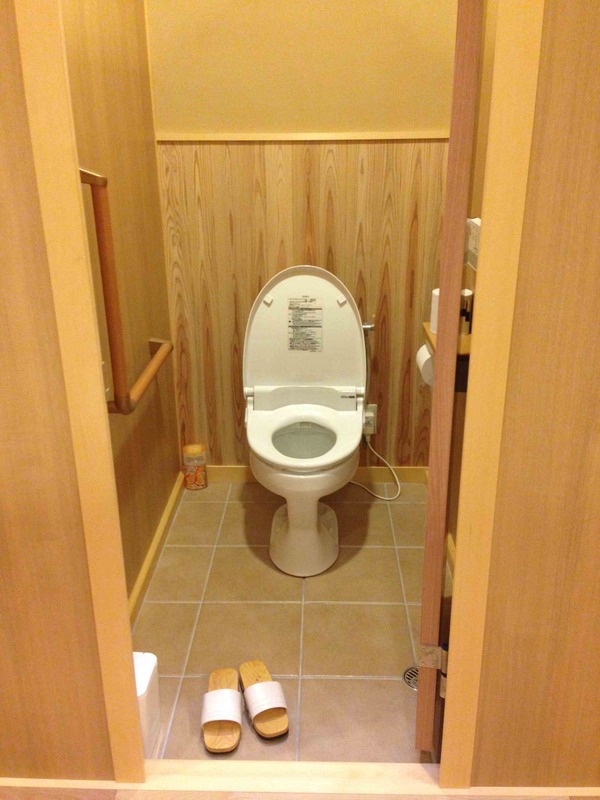 You see the Japanese are incredibly clean people, and their obsession with ensuring everything is pristine starts with themselves and in particular their toilets. From my first visit to the little girl’s room at the airport to 5 star hotels, it was apparent that going to the bathroom is serious business to the Japanese. There are more buttons on a toilet seat than the cockpit of an airplane, which can make a simple number one turn into a 10 minute affair. As you can see from the gallery of photos I collected, the panels come with all sorts of different gadgets. Some have special buttons depending on whether you’re a boy or girl. Others squirt, oscillate, vibrate and deodorizers. You can even pick the water pressure you prefer to clean your nether regions. But my favourite feature would have to be the seat warmer. Once you are over the initial shock of thinking someone else has made the seat a little too toasty for you, your cheeks relax into it and just enjoy the warmth. From the minute you enter the tiny room, the automation starts. The toilet seat flips up and a gentle melody starts to play. In some it’s the sound of flushing water which does actually help move along the ..um.. motion, in others it’s like peaceful elevator music. I’m not sure if the sound is there to relax you to focus on your business or to cover up the sound so others can’t hear what you’re up to. Regardless, I actually found it quite a nice touch, so much so, I’m thinking of putting a radio in my bathroom in Bombay! 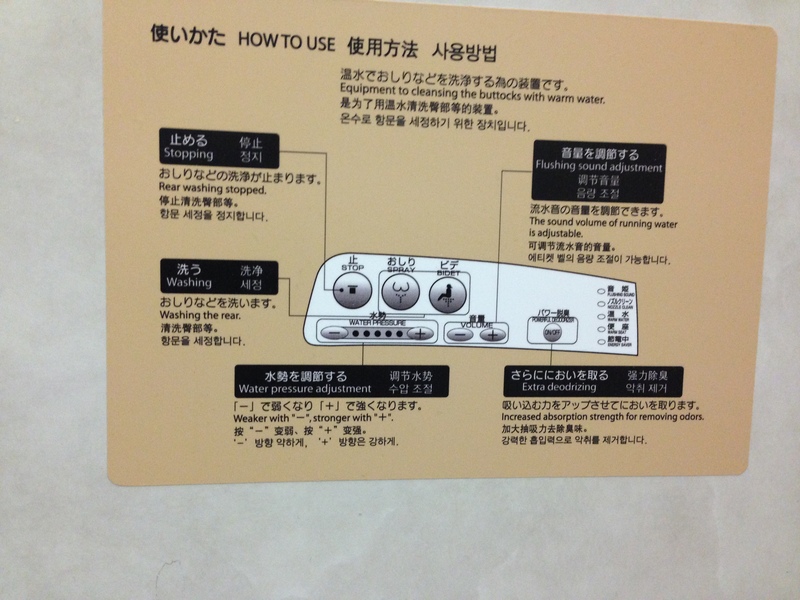 If you wanted some more detailed instructions on some of the buttons, try this handy reckoner courtesy of the Daimaru department store. You’ll no doubt never feel the same about a visit to the loo again. But the experience goes so much further than just the toilet seat. Visiting a temple in Kyoto, the public toilet was like that of a luxury hotel. There were even special slippers for you to wear in the can just to make sure your experience was comfortable. Yes going to the toilet in Japan is not just a basic requirement but rather an essential experience. Nothing like a toasty tot! LOL, it’s a far cry from a squattie for sure. I did actually come across a squat toilet in Japan and it was a different design and so pristine you could eat off it! After my initial concerns, I found the squat toilets were quite OK. As you say, even the public loos on street corners were scrupulously clean. This is fantastic! So many buttons.